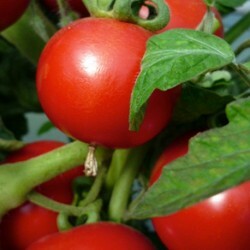 Totem F1 is the perfect patio tomato. This hybrid was bred for pots and window boxes. 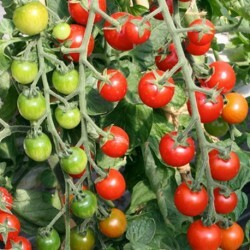 Medium cherry sized fruits are appear in abundance on the dwarf, compact plants. Great as an ornamental feature too on your patio. The plants grow about 60 cm tall. 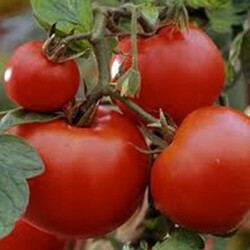 Totem F1 Tomato produces several kilos of fruit throughout July - September. 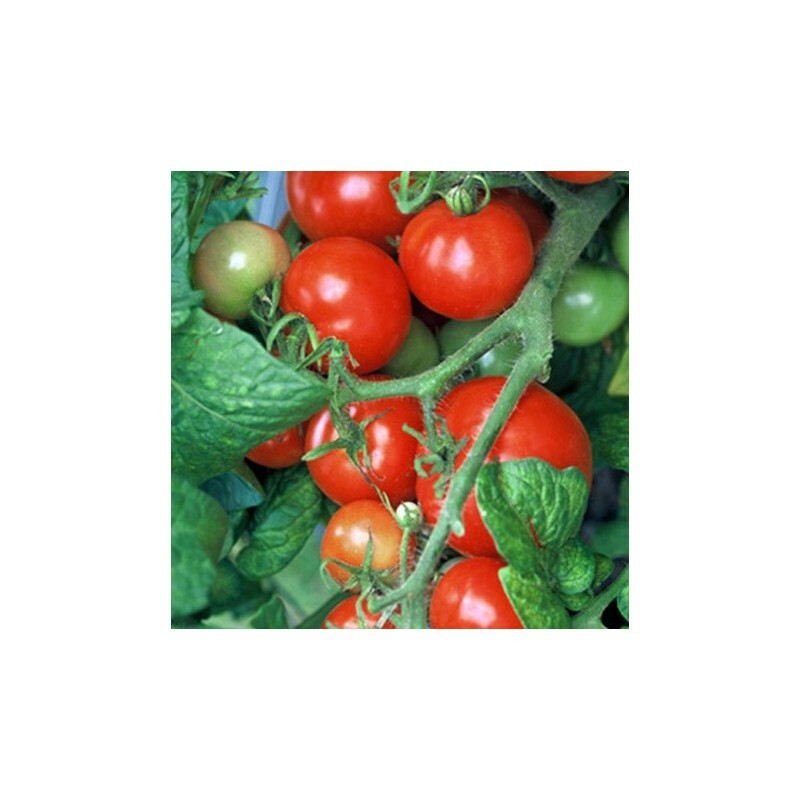 Sow the Totem F1 tomato seeds thinly (1 cm deep) into a seed tray or in small pots or cells, covered lightly, watered and placed at between 10-18 Celsius on a windowsill, heated greenhouse or propagator. Sow February - April. Germination takes 8-11 days. As soon as seedlings are large enough to handle, prick out. Transplant the seedlings into individual small pots, later on they might need to be repotted if growing quickly and large. Make sure the leaves do not overlap. Temperatures during this stage should be 12-20 Celsius. Plant outside mid-May-June into final position. 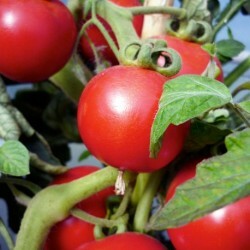 Beautiful edible feature in hanging baskets, tubs. Keep watering in dry spells, especially when flowering and when the fruit is setting.No need for side-shoot removal, as this is a bush variety.